Not much is guaranteed in this world. But one thing Dropkick Murphys singer Al Barr can promise is his band will never do anything half-hearted when it comes to making new music. Barr believes fans know when a band takes its foot off the creativity accelerator, and that’s all it takes to tarnish a career’s worth of good music and good deeds. The Dropkick Murphys obviously don’t want to do anything to blunt the momentum the band has generated. It’s been a long and continuous climb, and Barr said ticket sales to the group’s concerts indicate that the Dropkick Murphys fan base s still expanding. Formed in 1996 in Boston, the band worked hard and toured hard through its first decade, slowly but surely gaining an audience that liked the band’s rough-and-ready Irish-accented brand of punk. When the 2007 album, “The Meanest of Times,” was released, it debuted at No. 20 on “Billboard” magazine’s all-inclusive Top 200 album chart, while a single, “The State of Massachusetts,” became a top 15 hit on “Billboard’s” Hot Rock Songs singles chart. The momentum has only grown since then, as the band’s previous two studio albums, “Going Out in Style” (2011) and “Signed and Sealed in Blood” (2012) both debuted in the top 10 on “11 Short Stories of Pain & Glory” extended that streak, opening at No. 8 on the Top 200, and it’s being greeted as one of the strongest albums yet from the Dropkick Murphys. group’s music. “You’ll Never Walk Alone,” a cover of the 1940s Rodgers and Hammerstein song from the musical “Carousel,” gets a rousing Irish-tinged treatment. 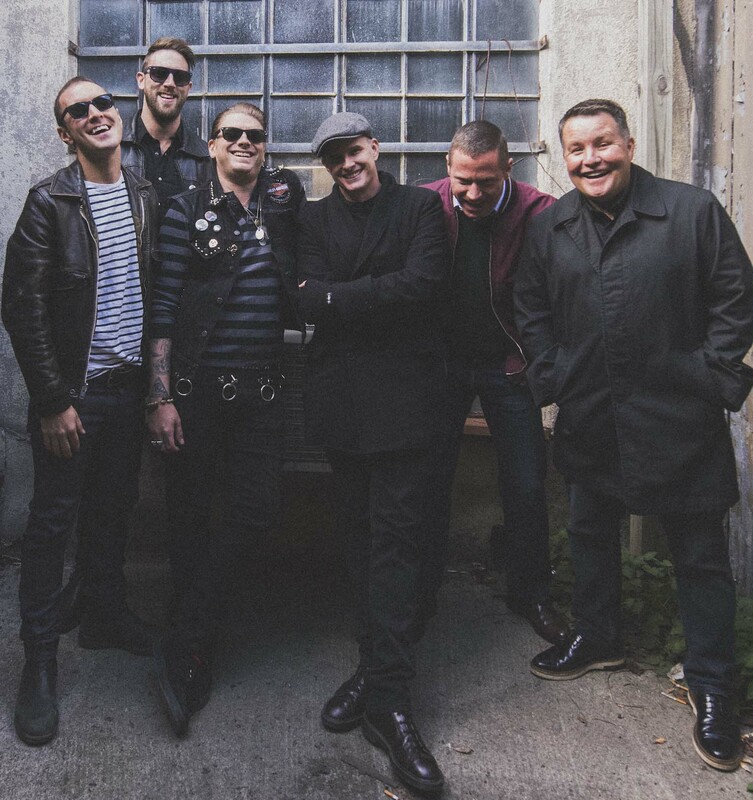 The Dropkick Murphys also bring that sort of emotion to the live stage, and the group is currently on a run of dates with punk icons Rancid. The band, naturally enough, is playing several songs from the new album, but varying its career-spanning set list from show to show.